Well-liked on both sides of the aisle, many legislators felt the case against Libous was weak, that the charge of lying to the FBI about using his power to help his son secure a job was the prosecution grasping at straws. 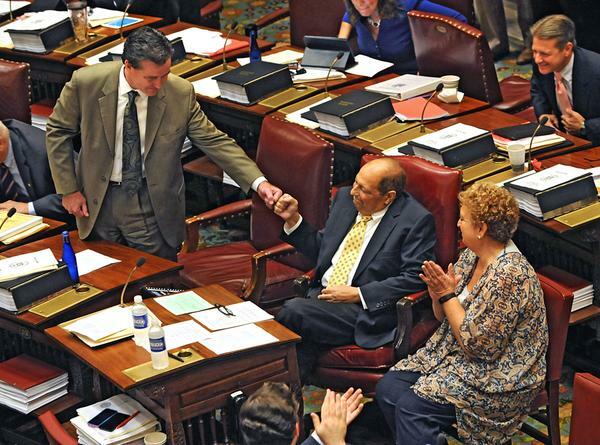 Libous' colleagues were so confident he'd avoid conviction that new Majority Leader John Flannagan kept him on as deputy majority leader after Flanagan's ascension in the wake of the indictment of his own predecessor, Sen. Dean Skelos. Not only was the 62-year-old Binghamton-area legislator thought to be honest by many, but Libous is also battling terminal cancer and was too ill to make most session days this spring. Many expected the jury to acquit Libous and that he would retire with his honor intact, with time for the GOP to prepare a strong replacement candidate. But, it took the jury just six hours to find Libous guilty. He now faces up to five years in prison. 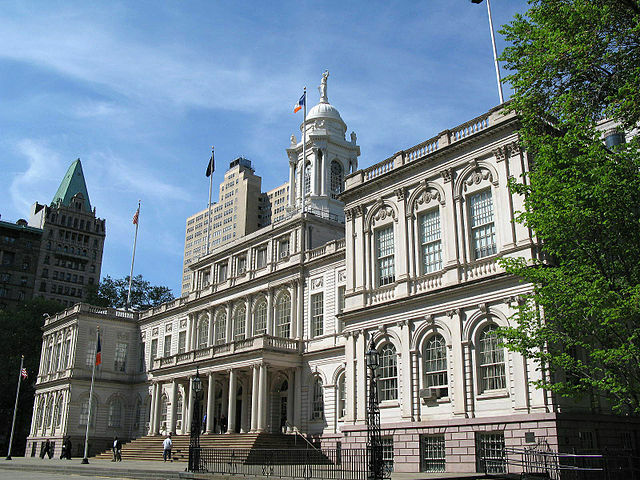 "The amount of time it took for the jury to reach a decision sends a real message," said Blair Horner of the New York Public Interest Research Group. The indictment of Sen. Skelos certainly set Senate Republicans into a spiral, but in some ways Libous' conviction was more impactful. "This really sets a new bar," said one lawyer-legislator on the condition of anonymity. "It was a shock to most of us because it means anyone can be found guilty on whatever charge is made." It is well-documented that anxiety, even paranoia, was already running high among Albany lawmakers as indictment after indictment comes down. The message for a number of Republicans is that their former leader, Skelos, is not likely to get off scot-free and that prosecutors are likely to keep digging. Libous' conviction is different than that of Democrat John Sampson's, also reached last week, in that Senate Democrats had turned again Sampson long ago, ousting him from the conference, and actively tried to defeat him in the last election. Democrats have been on a rebuilding and rebranding spree for the last four years, though their mission took a hit with the charges against Silver. Meanwhile, Senate Republicans have been delivering the same message: 'stay the course,' despite the fact that they hold a tenuous grasp on the majority. It is a razor-thin majority that is at risk not only in the race to replace Libous, the election for which will occur this fall, but in the 2016 elections for every seat of the Legislature set to occur during a presidential year when Democrats typically perform better. 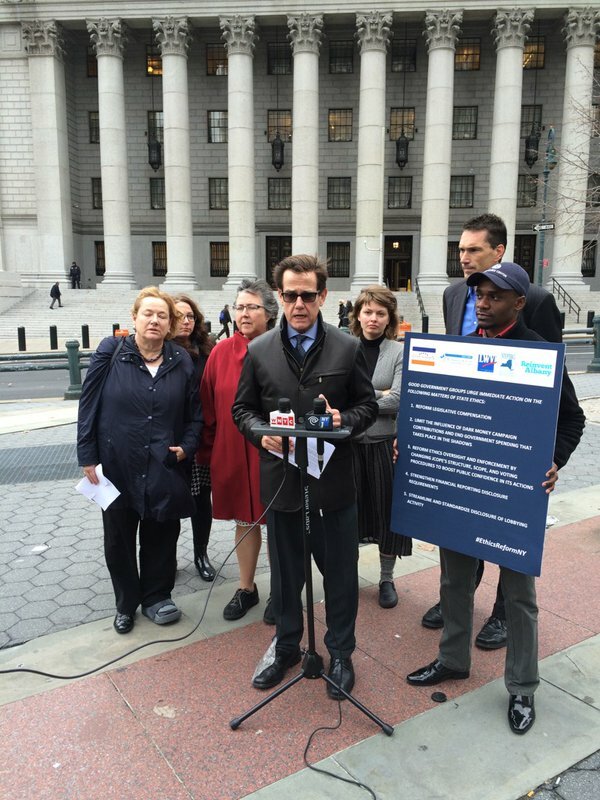 "The message the U.S. Attorney has sent with his indictments of Skelos, Sampson, Libous, and Silver was already very clear," said Karen Scharff of Citizen Action NY, a left-leaning reform group. 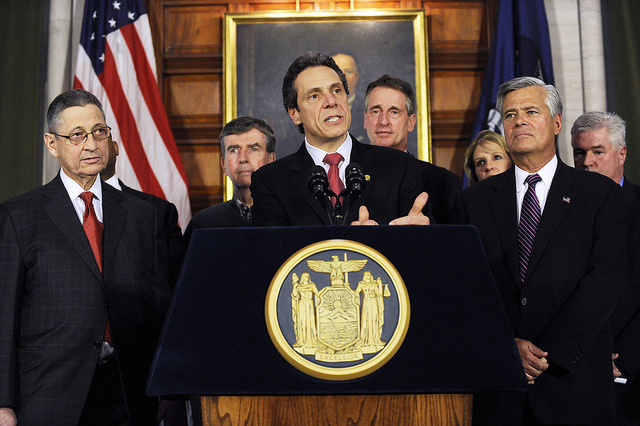 "[Bharara] is very serious about looking into their behavior," she said of Albany legislators. "This conviction isn't anything new and is why it's so frustrating that Senate Republicans aren't willing to talk about real reform." Senate Republicans are desperate to weather what is expected to be a 2016 Democratic storm thanks to the presidential race. Senate Democrats have won a numerical majority coinciding with the last two presidential elections and Democratic turnout is expected to be relatively immense in 2016, especially given what is likely to be a Hillary Clinton candidacy. 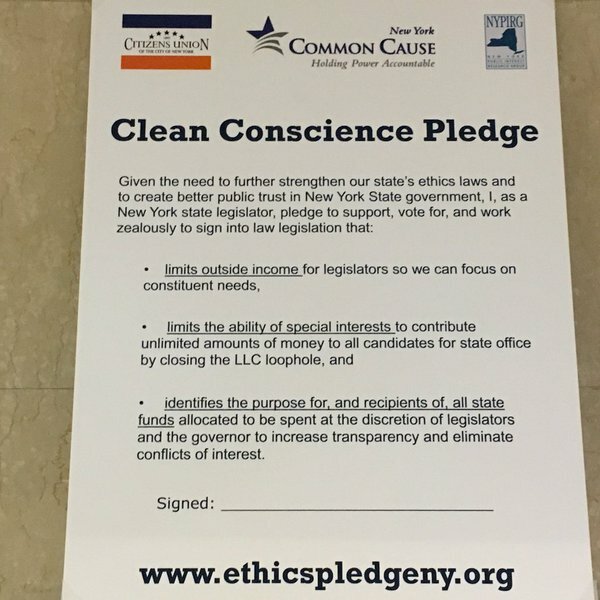 Democrats are sure push ethics and campaign finance reform, such as closing the infamous LLC loophole, throughout the rest of 2015 and 2016. Libous' conviction spotlights another one of the conference's major liabilities - a shallow bench. While Democrats have a number of young sitting senators and have been recruiting and building up candidates in districts where they expect close contests, Republicans are dealing with a number of aging members who appear close to retirement, though committed to staying on to preserve the majority but not to do much else. Libous was long talked about as a future majority leader and his name would periodically come up as a potential replacement for Skelos whenever there was dissension in the ranks. He was known for working across the aisle and continuing dialogue with Senate Democrats during even the most acrimonious episodes. "They are dealing with an aging conference and while we've seen Democrats recruit new faces each election, Republicans appear to be struggling to attract young, noteworthy leaders," said Scharff. Sen. John DeFrancisco was recently named to replace Libous as deputy majority leader and while many Senate Republicans see it as a great, almost inevitable choice, it also exposes how thin their ranks are. DeFrancisco has long served as the chair of the finance committee and is integral in producing favorable budgets. 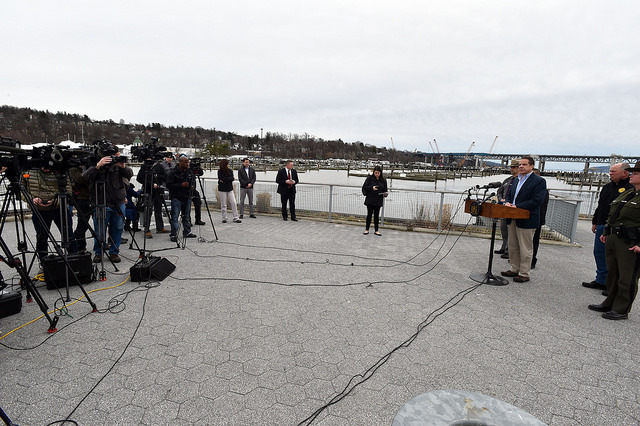 Not many other members have the knowledge, commitment, or interest to replace DeFrancisco in that role, which he all but certainly vacates to become minority leader. "I'm afraid that he is going to try to do both," said one member on the condition of anonymity. "I really don't see that as being possible. It's too much for one man to do." With Libous' seat now up for grabs the math for retaining an already thin majority becomes more difficult even though the seat is in a heavily Republican district. "We will absolutely hit the ground running," Flanagan said in Cooperstown last Wednesday. "I expect to spend a lot of time in Binghamton. It's a very important race. 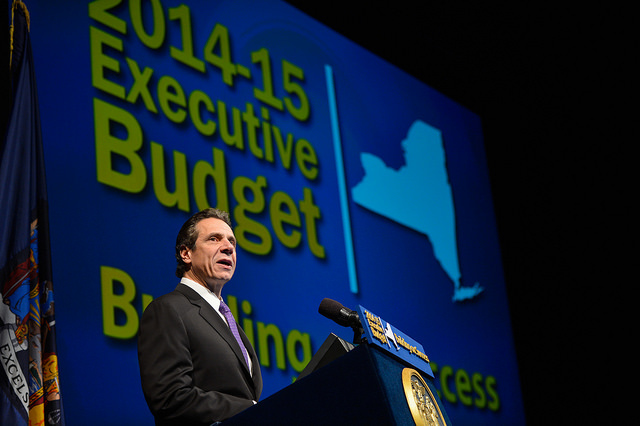 It's critical not only to our conference, but to the people of the State of New York." Now, Republicans are coalescing around Broome County Undersheriff Fred Akshar. Denver Jones, who has campaigned as a Republican in the past, also appears to be seeking the seat, which could cause some trouble for Akshar and the party. Gov. Andrew Cuomo has already endorsed the Democratic candidate, Barbara Fiala, even before she was officially a candidate. "Barbara Fiala is a quality person," Cuomo told reporters last week. "I've known her for a number of years, she was a member of my administration, she was a commissioner for the Department of Motor Vehicles." 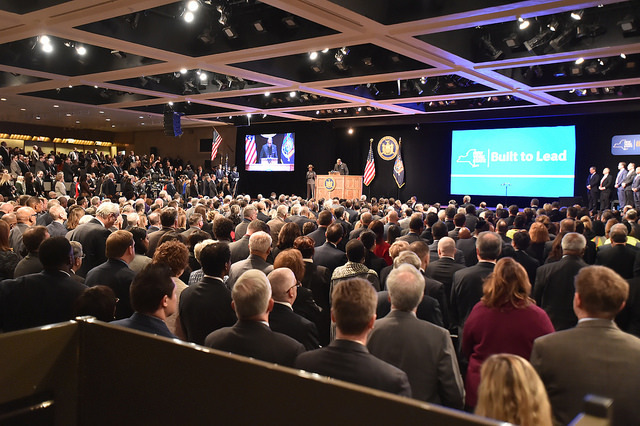 Cuomo's endorsement surprised Republicans, as Cuomo has previously worked closely with them in preserving their majority and has praised a number of sitting Republican legislators. However, Libous still maintains a great deal of power and popularity in the district and could turn the tide if he is able to campaign. Legislative corruption is almost certain to come up during a campaign for a seat rendered empty by the conviction of a sitting legislator. Democrats are likely to try to paint Republicans as roadblocks to sweeping ethics and campaign finance reforms, though it will be a tricky message to craft given the party's own corruption issues. The vote to replace Libous will take place in November unless Cuomo calls a special election, something he has been loathe to do in the past. Whoever wins this year will have to turn around and defend the seat in 2016. Meanwhile, Skelos' case remains in the news as Bharara has introduced new charges and it heads toward trial. Both Skelos and former Assembly Speaker Sheldon Silver are scheduled to be on trial in early November, in the days surrounding the general election. A recent Siena College poll found that public corruption is very much on voters' minds and likely to impact their votes come November. Ninety percent of voters surveyed for the poll released July 15 said public corruption is a major problem and 49 percent said recent scandal would make them less likely to reelect their incumbent legislator come 2016. Horner said he believes Republicans hope the Libous case blows away as so many other scandals have so that they can attack Democrats on corruption in their ranks. Running races with corruption as an issue isn't exactly easy for Republicans as they have opposed every major reform measure good government advocates support. "They really have no world view on reform other than term limits," said Horner of Senate Republicans. "And they back term limits in the same way Democrats back campaign finance reform - because they know the other side won't let it pass." Meanwhile, reform groups and some legislators continue calls for a special session to address public corruption which in turn has forced Cuomo to point the finger at Senate Republicans for their recalcitrance. "I haven't heard a legislator say, 'OK, my mind is changed.' 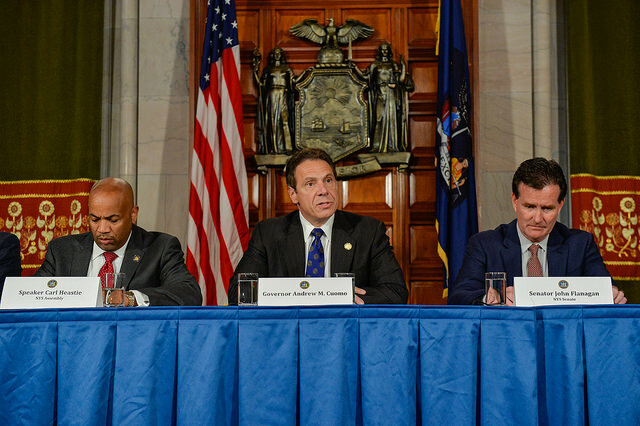 I haven't heard anything from the Senate or the Assembly saying, 'Our minds are changed, we now want to pass a bill that we didn't want to pass," Cuomo said in defending his dismissal of those calls for special session. Cuomo, who was close to Libous and has spoken kindly of him even of late, is seen by many as a roadblock to true large-scale reform. Cuomo said Libous "never stopped serving the people of his district," despite having terminal cancer and added: "It's a sad, sad personal tragedy. 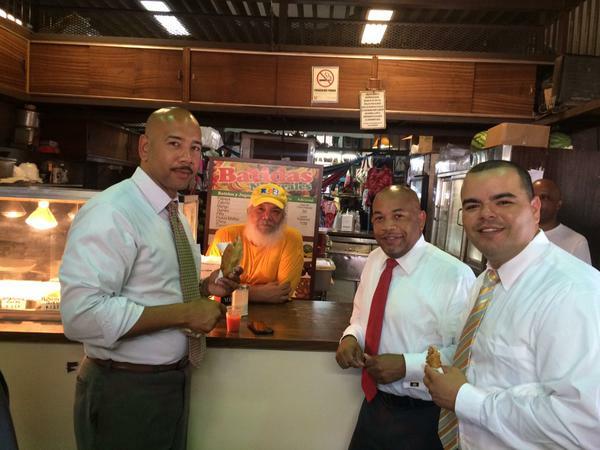 This is a man who was a quality public servant for a lot of years."